As Remembrance Day/Verterans Day approached last year, I started asking people for the very best World War II book they'd read. This title was vigorously recommended by a school librarian who was doing her very best to get students to give it a chance. She acknowledged that it wasn't the sort of book that most students would casually check out - it is a big book, almost a foot by a foot, and thick too - but she was convinced that if they started reading it, they would be hooked. I think she's right. CONTENT: This is Nazi Germany as seen through the eyes of its youth. Hitler was in power for 12 years and in that time an entire generation of children received their entire primary and secondary schooling from Nazi teachers, and on weekends spent their time marching in step at Hitler Youth camps. This is the story of their indoctrination. 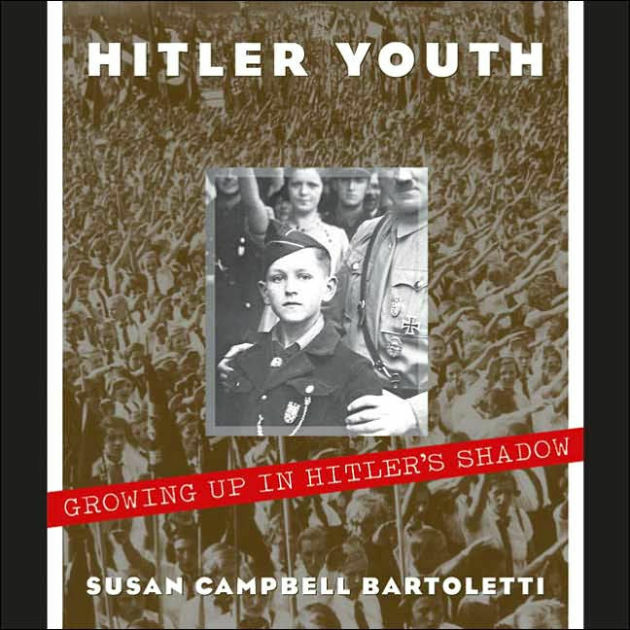 CAUTIONS: While the book documents the Nazis’ indoctrination of Germany’s youth, and notes that some resisted, it doesn’t have much to offer as to why those few did resist. To say it another way, the author understands the Nazi lies, but doesn’t have much insight into the Truth that motivated many to oppose them. In that way it ends on a bit of a depressing note, because the author offers so little in way of how to oppose this sort of evil should it surface again. CONCLUSION: There are a lot of books about the Nazis and World War II, but none quite like this one. In depth, it’s like a textbook – amazing research and overflowing with pictures of schoolchildren in Nazi uniforms and toddlers rigidly saluting – and in readability like the very best newsmagazine articles because Bartoletti lets her subjects speak in their own words. It is probably a bit much for early teens, both in depth and in content (though there are no graphic pictures, there are detailed explanations of what the Nazis did to the Jews, Gypsies and others) but would be a great book for mid to older teens as well as adults.